Not just any day. A day when I need encouragement. …Not just any earring. It was one that I had made for a friend of mine. …Not just any friend. It was a friend who is courageously facing an invasive cancer and being brave and compassionate and tenacious through it all. Found it after a day of battling some fears. I think listening to her facing funeral plans, while still hoping and praying intensely for healing, had impacted me in a deeper way than I first realized. I just didn’t know that it would be just the ‘right time’ to encourage me! 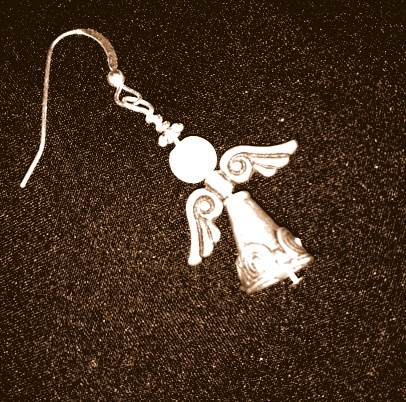 So, that earring that I had made for my dear friend to encourage her? Well, in the end it encouraged me. And now that I finally found it, I’ll put it in the mail and pray that it encourages her just at the right moment. Can make a big difference in one’s perspective.